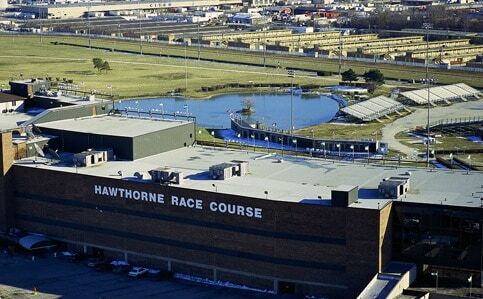 Hawthorne Race Course, the nation’s fourth-oldest racetrack, located in the Chicagoland townships of Cicero and Stickney, has joined the National Thoroughbred Racing Association (NTRA). Hawthorne has emerged as one of the leading destinations for NTRA National Handicapping Championship (NHC) qualifying contests in recent years and will further expand on that position thanks to discounted NTRA member pricing for racing’s most successful national promotional venture. Hawthorne is in the midst of its annual Spring Meet, comprised of 22 twilight racing programs on Fridays and Saturdays in March and Thursdays to Saturdays in April. First post is 4:10 p.m. CT. Following a one-year hiatus to solidify the purse account, the Grade 3 Illinois Derby is back on the stakes schedule and will be contested for a $250,000 purse on April 22. That afternoon will also feature a pair of supporting Illinois-bred stakes. To learn more about Hawthorne Race Course, visit HawthorneRaceCourse.com, ‘like’ their Facebook page at Facebook.com/ClubHawthorne, or follow @ClubHawthorne on Twitter. Founded in 1891, Hawthorne Race Course is the fourth-oldest racetrack in the nation and the oldest sporting venue in Illinois. Located in Stickney, Ill., on the edge of Chicago’s city limits, the 126-year-old facility hosts Thoroughbred racing in March and April and again in October through December. Standardbred harness racing is conducted in May through September. The family-owned-and-operated business has been an innovator in horseracing for more than 100 years and features the nation’s most rewarding players program.